In color and B&W. Widescreen. Director Clay Banks states, “Shooting a documentary on a move of the Holy Spirit is like trying to harness the wind.” Nevertheless, using photos, sketches, and vintage film clips, Banks has created a documentary recording the growth of the Pentecostal movement in Los Angeles. The project follows William Seymour, the one-eyed son of a slave, from his roots in Louisiana to his sprit-filled life in Los Angeles. 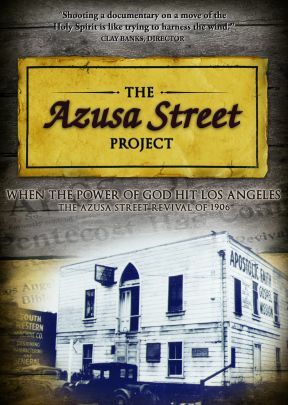 Seymour grew in faith and preached the message of salvation beginning on Bonnie Brae Street, eventually moving his mission to Azusa Street. He has been called the Martin Luther, John Wesley, and John Calvin of the Pentecostal movement. Interviews with present-day Pentecostals such as Joyce Meyer, Bishop Charles E. Blake, Sr., and Jim Reeve bring this history up to date. Added features include director’s comments, a tour of Bonnie Brae House, and an art gallery of fantastic sketches. This documentary places the movement in historical context, allowing viewers to visually travel back to the era. Chris Taylor - Amazing Experience! I don't know all that much about Korean...but I saw this documentary in English and I feel it should be translated into every language so the whole world can experience what I did! Amazing!